Reminiscent of the early Mid Century modern dining chairs, the Wasowsky chair is the inspiration of Spanish designers Enrique Del Amo and Angel Marti. 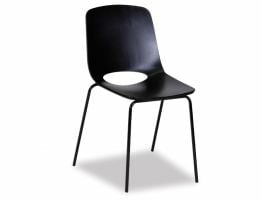 They skillfully bring together something old and something new to give us what might just be the perfect black modern dining chair. 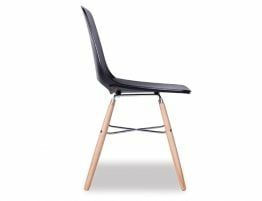 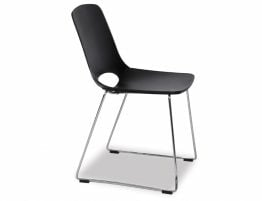 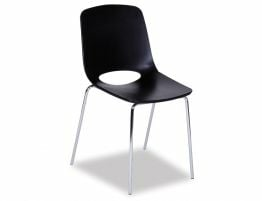 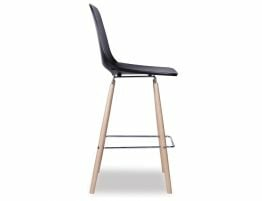 This black cafe chair offers a soft molded seat constructed from a techno-polymer with chromed steel legs for a balance of materials that makes this modern kitchen chair feel fresh and on-trend.